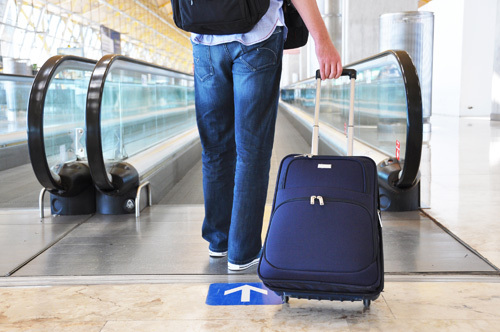 Have you ever had that pre-trip nightmare where you lose your baggage in transit? On my last trip home from Mexico, I was convinced this very thing had happened to me. When my bag did not slide down the ramp at Vancouver International Airport, I panicked. I soon discovered that because my bag was grossly overweight, it had been directed to another baggage claim area. Working at TuGo, I’ve learned there’s travel insurance for situations like this—and I’m not just talking about close calls. Non-medical packages can cover lost luggage, a cancelled flight, or coverage for your rental car. Having so many travel insurance options to choose from can be confusing. I’m sure this list will help you find the kind of Non-Medical travel insurance that’s right for you. pays for the loss, damage, destruction or theft of personal items. protects you if your travel plans are cancelled before your departure, or if your trip has been disrupted once it’s begun. The nice thing about this coverage is that it can be purchased as part of a package or on its own. ensures you won’t be paying for a lost or damaged rental car. while not pleasant to think about, this coverage provides payment in the event of death or dismemberment while travelling by airplane, helicopter, bus, train or boat. includes Trip Cancellation/Interruption, Baggage and AD&D, without emergency medical coverage. this baby has it all! Emergency medical coverage plus all the other options listed above. Do you have lost baggage stories to share? Leave us a comment below or send us a tweet at @TuGoInsurance!